Regular readers of our blog will be no strangers to Tess McCabe and the Creative Women’s Circle. After the success of her recent book, Conversations with Creative Women – Vol 2, published last year, Tess has decided to add another string to her already impressive bow by starting her own publishing company, Creative Minds Publishing. 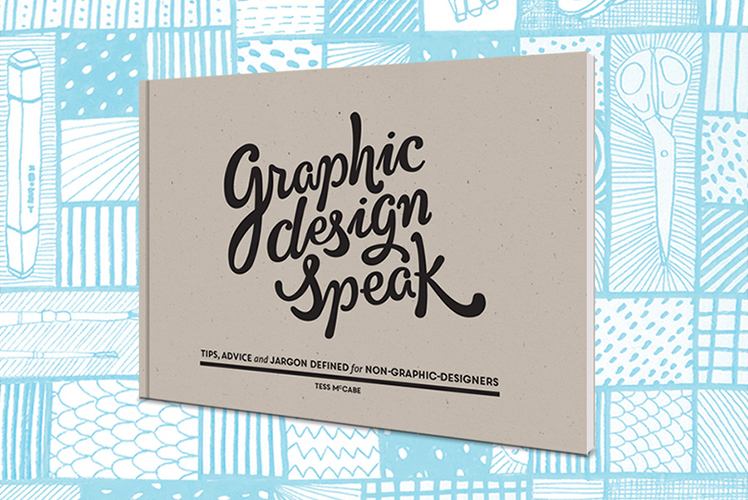 What better way to launch her new venture than with a freshly printed book, Graphic Design Speak: Tips, Advice, and Jargon Defined for Non-Graphic-Designers. Graphic Design Speak is a helpful little guidebook filled with explanations of all the graphic design basics you need to know to feel confident when communicating with your graphic designer, web designer, publisher or printer. First launched as a popular eBook in 2013, the 2014 paperback edition has been tweaked to make the book even more helpful and the information easier to comprehend. More common words and phrases including video production and web design jargon have been added to give non-graphic-designers a working knowledge of the essentials — without the confusing technical talk and unnecessary detail. We love the sound of that! 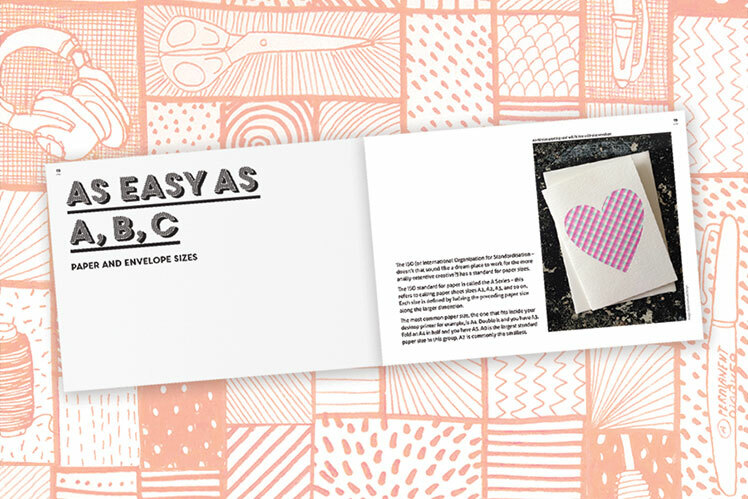 With over 10 years experience communicating and collaborating with clients and creative business owners, Tess McCabe wanted to create a resource to help people understand what their graphic designer is asking of them and feel confident in supplying them first go. 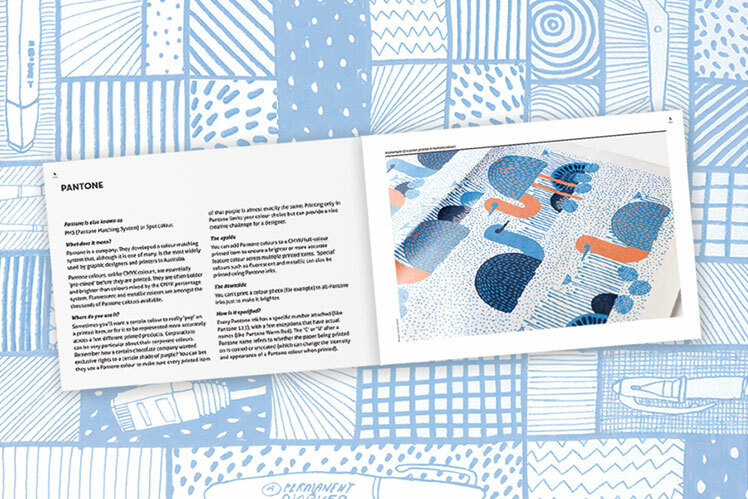 The handy 44-page paperback contains beautiful, colour images that illustrate key concepts within the book from local designers, including Kylie Thevenau, Louise Jones, One Fine Print, Saint Gertrude Design and Letterpress, Brand By Name, Pom by Pomegranate, Andrea McArthur, and Serena Sundai. If all that isn’t enough, we absolutely love that Graphic Design Speak is designed and printed in Melbourne, Victoria using environmentally friendly printing methods and paper. Thumbs up for keeping it local! Does all this have you asking ‘Where can get I get my hands on a copy? !’ Tess has generously offered a 20% discount for all Finders Keepers readers who would like to purchase Graphic Design Speak. It is available from today, directly from the Creative Minds Publishing or the Creative Women’s Circle online stores. Use the code FindersKeep to score your 20% discount. Grab your copy of Graphic Design Speak here.